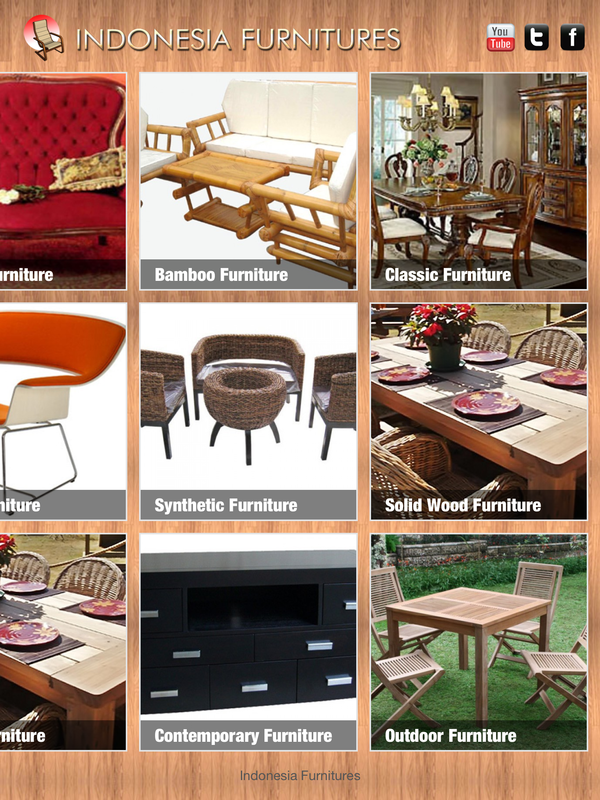 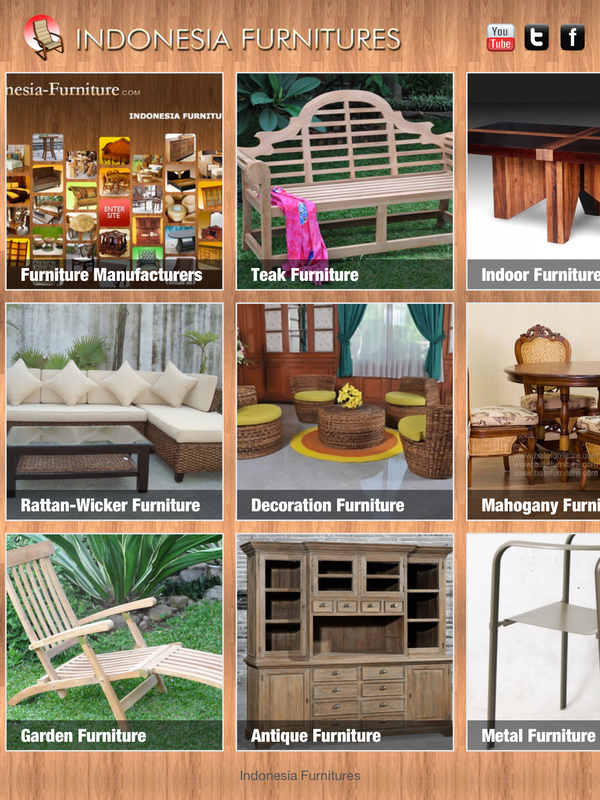 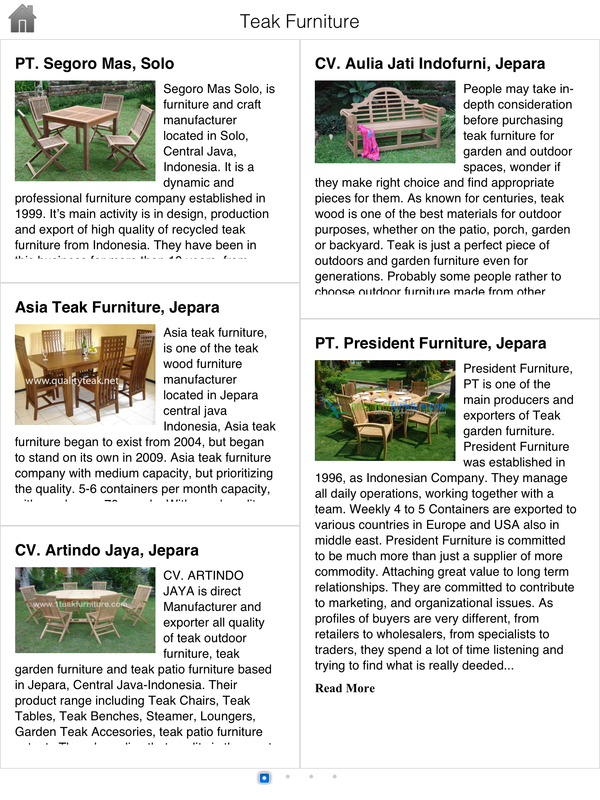 Indonesia Furniture is a free application that contain of references about numbers of Indonesia furniture that made of various design and materials like wooden teak, rattan, woven, mahogany, bamboo, antique,indoor and outdoor furniture and so on. 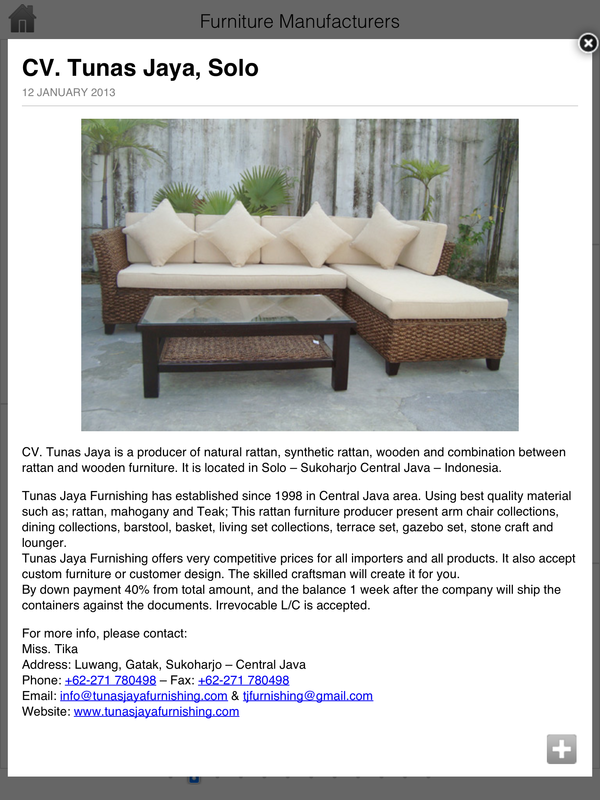 Here, there is picture that describe by related article as a reference of the product and the company short description. ? 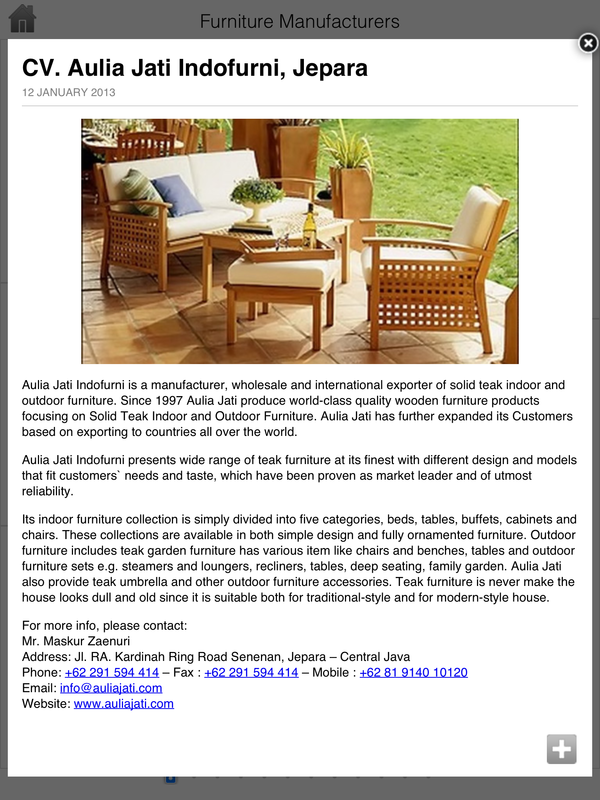 ?This application is accessible for iPad, and it is useful as an information related the furniture things in Indonesia and the traditional carving furniture that being popular worldwide ? 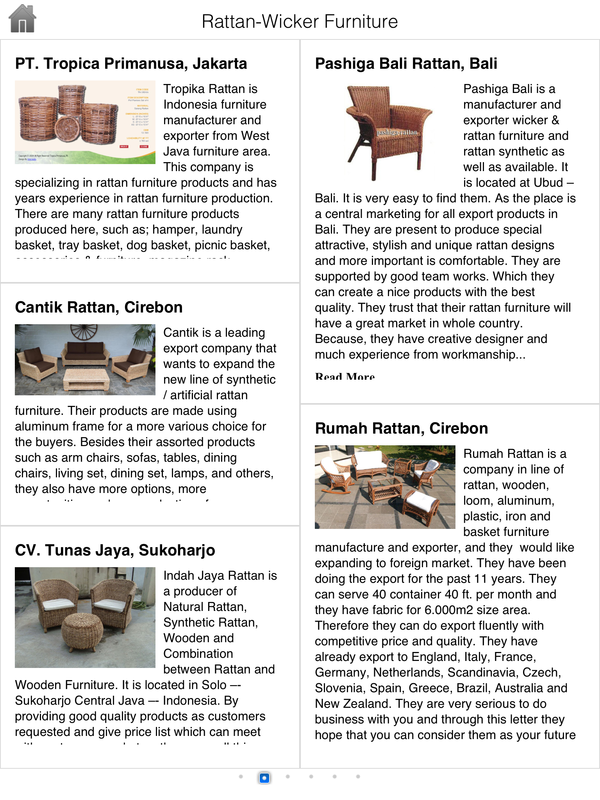 ?Indonesia Furniture is a free-valuable application and it gives a lot of references about Indonesia traditional ethnic furniture that coming from the indigenous wooden material, and any related information about Indonesia furniture in general.